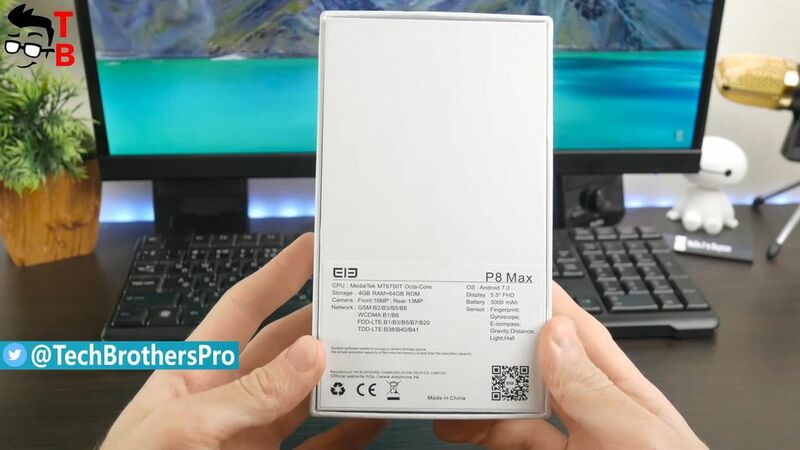 While everyone is waiting for the flagship smartphone Elephone U Pro, we received another interesting device from the same manufacturer called Elephone P8 Max. 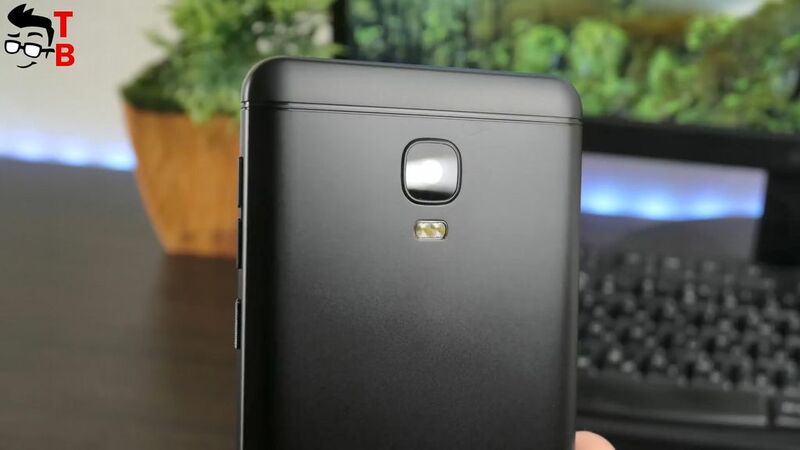 It is the third smartphone in the series P8. 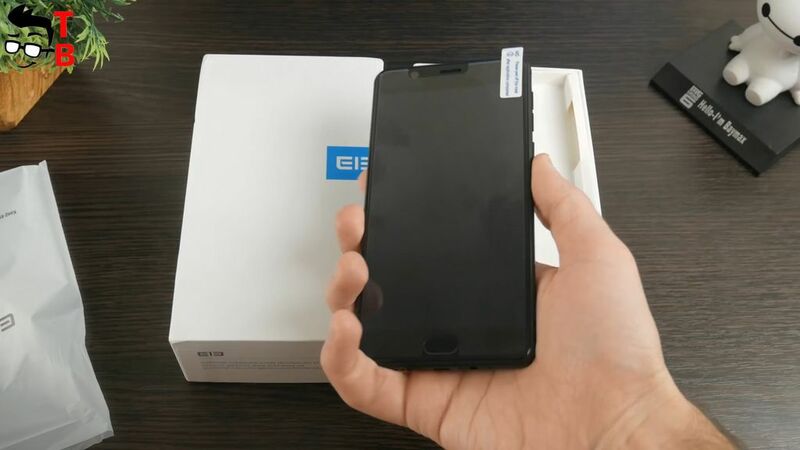 First, there was Elephone P8 Mini, then the Chinese company released full size Elephone P8, and now we have new model P8 Max with bigger battery. 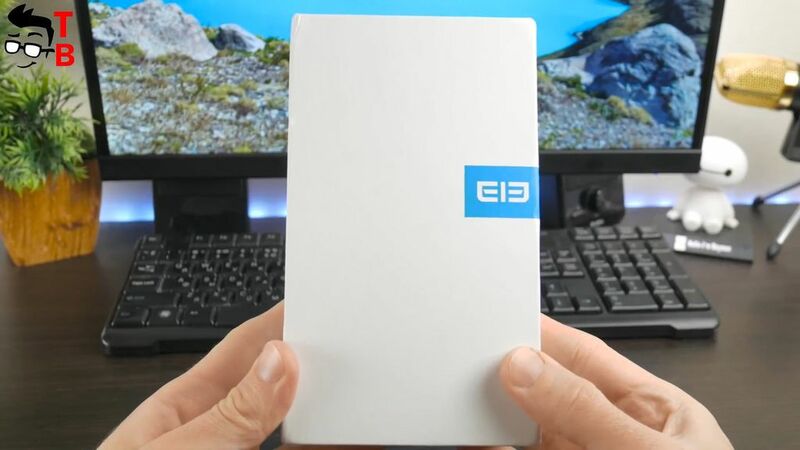 So, let’s start our review, and find out should you buy this device, or Elephone P8 will be better choice? 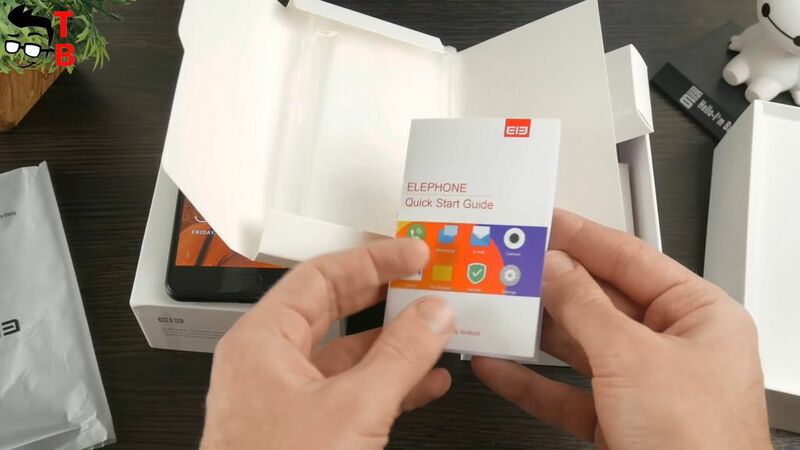 Elephone smartphones have their own brand package. Usually, this is a white box with blue logo on the right side. The model number and specification list are on the backside. 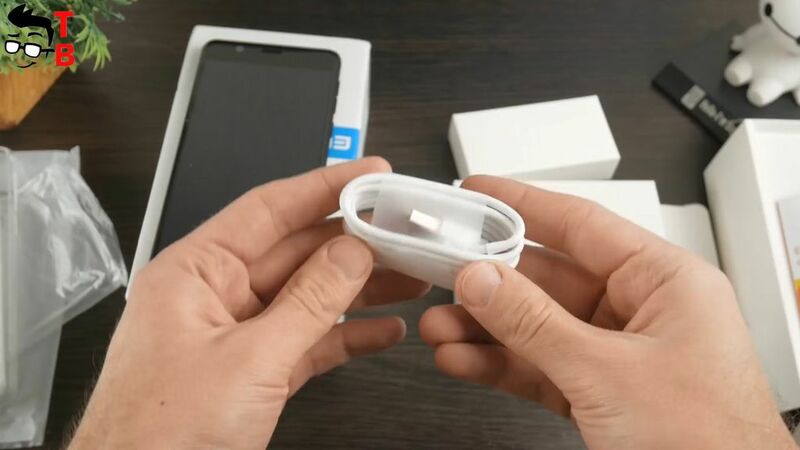 Inside the box, you can find the smartphone with factory film. Also, there is an envelope with SIM needle, user manual, and silicone case. 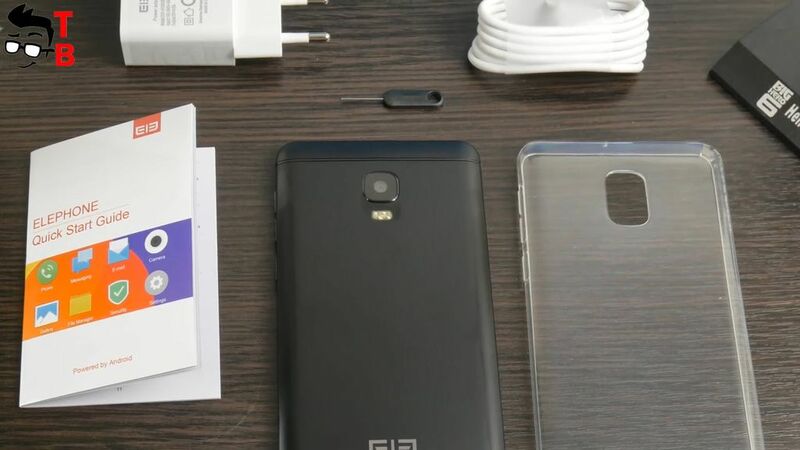 Elephone P8 Max comes with microUSB cable and power adapter. 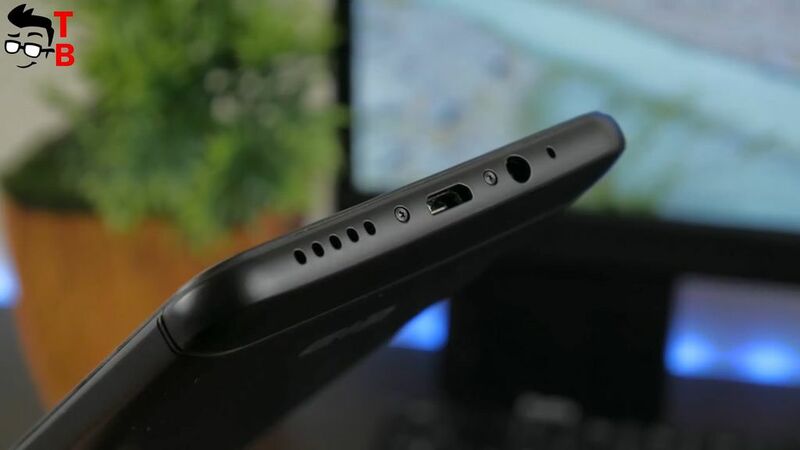 It’s a pity, that smartphone doesn’t have USB Type-C port. We will talk about this later. The package is quite standard for budget smartphone. The bonus is a silicone case, so you don’t need to buy additionally. First of all, I want to note Elephone P8 Max looks similar to OnePlus 3. It’s not bad, because the design is really nice. 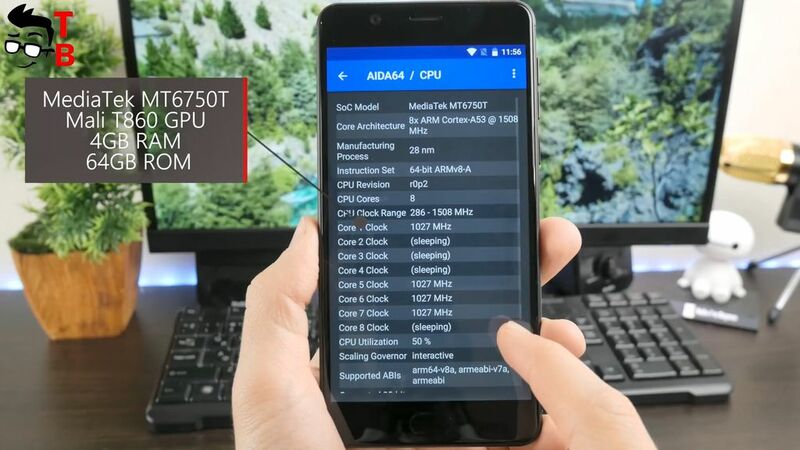 This smartphone is from the past generation, because it does not have 18:9 display, dual cameras, and other trend features. 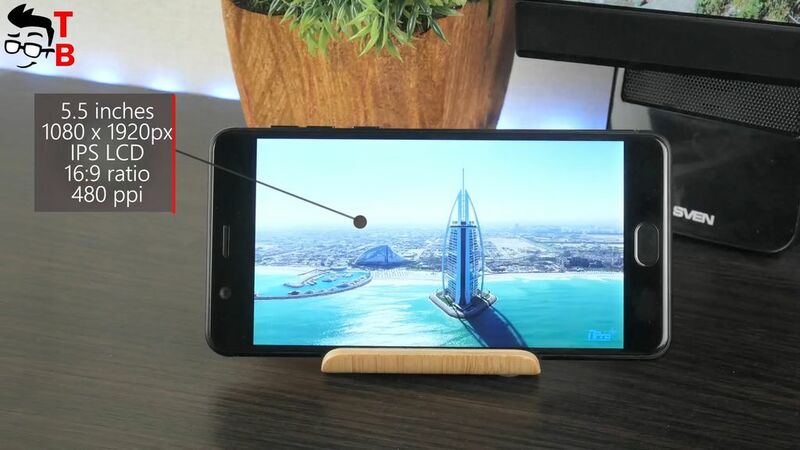 However, Elephone P8 Max has Home button with fingerprint reader on the front panel. As you know, most today’s smartphones have fingerprint reader on the back, because there is no room on the front side. 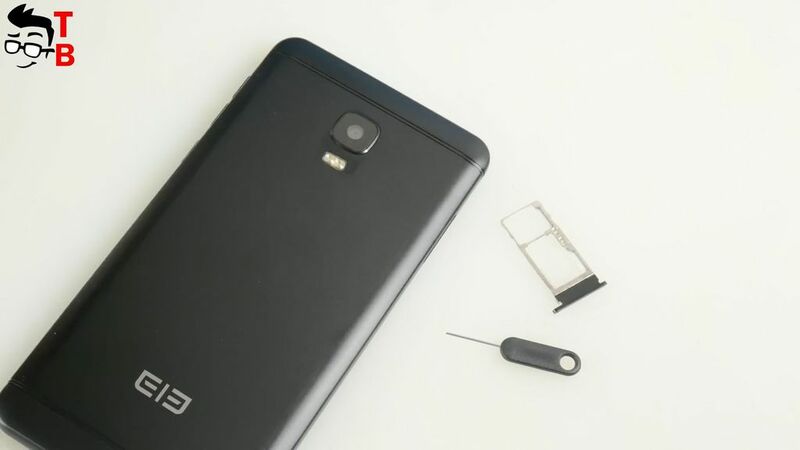 Also, the front panel of new smartphone has selfie camera, earpiece, proximity and lighting sensor. On the backside, there is main camera, flash and company logo at the bottom. I like its minimalistic design. 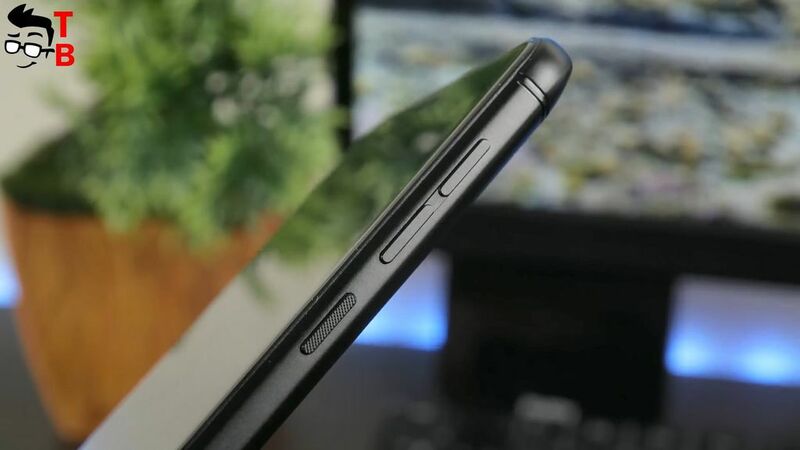 Top and bottom, you can see antenna strips, but they are not as noticeable as on OnePlus 3. Elephone P8 Max has full metal body. On the right side there is volume rocker and power key. The left side has slot for SIM card and microSD memory card. The smartphone has hybrid slot, so you can use two SIM cards, or one SIM card and one microSD memory card. MicroUSB port, 3.5 mm audio jack for headphones and speaker are located at the bottom. That’s all! 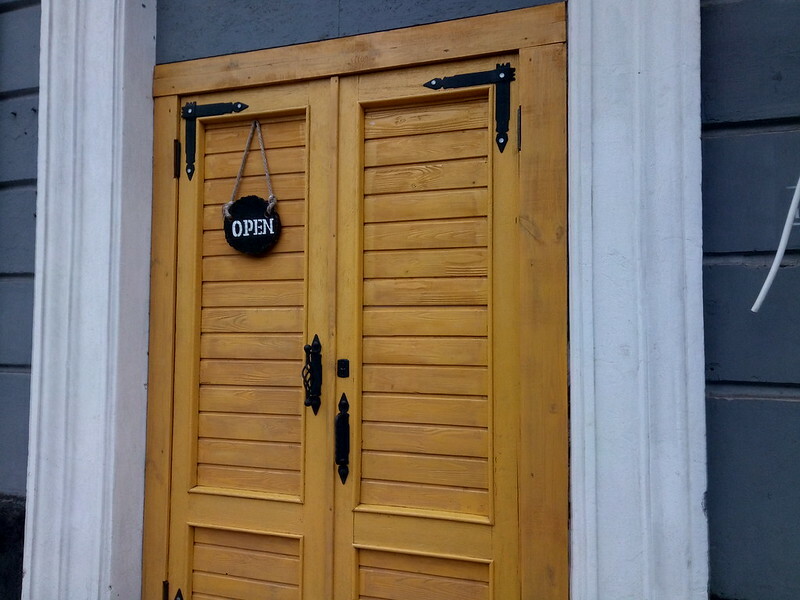 The design is very simple, and doesn’t have any outstanding features. 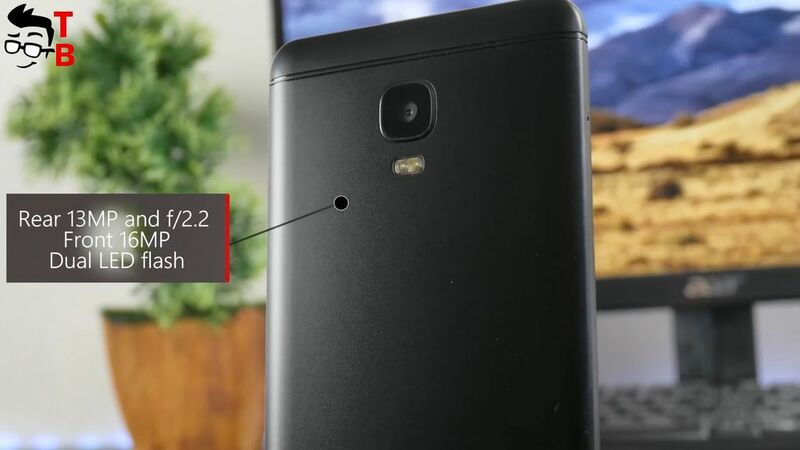 Moreover, the smartphone looks similar to OnePlus 3, but I am not sure the manufacturer planned to copy it. Elephone P8 Max has 5.5-inch display with Full HD resolution, 1920 by 1080 pixels. I missed these screens, because most new smartphone have Full HD+ resolution. As you understand, this is 16:9 aspect ratio. Some people will say that it is outdated and has thick bezels, but I think it is perfect for a budget phone. It has rich colors, good details and high brightness. 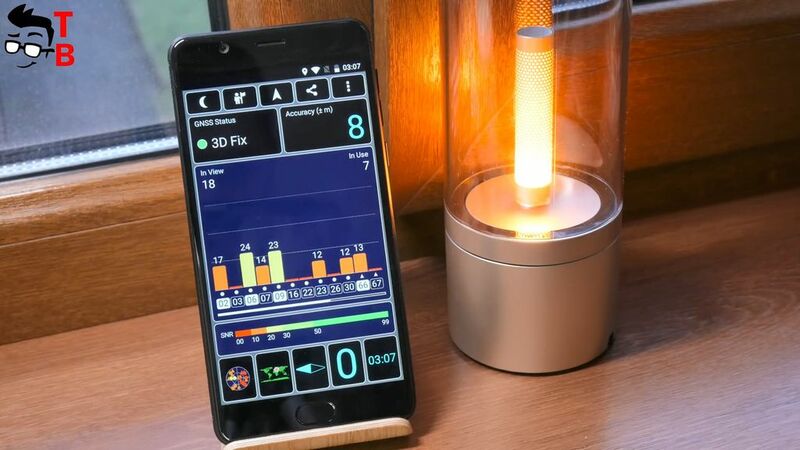 You can use the smartphone in direct sunlight without any problems. 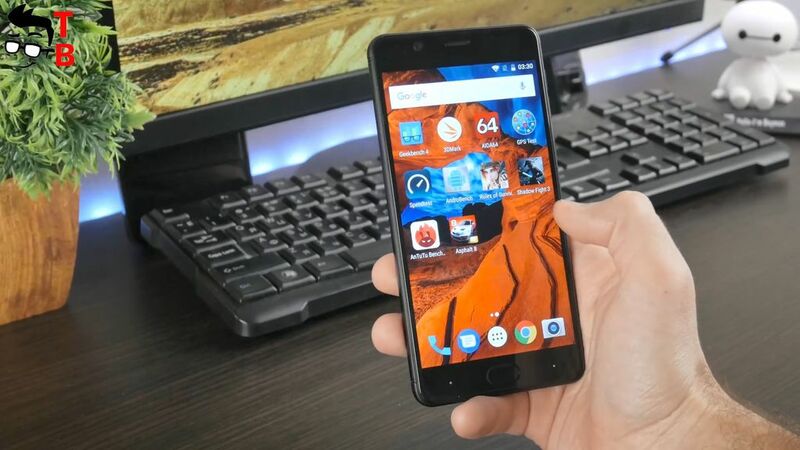 Elephone P8 Max is budget smartphone, but it provides very good performance. The smartphone is equipped with MediaTek MT6750T, 4GB of RAM and 64GB of internal memory. This is octa core chipset with clock speed 1.5 GHz. Also, I want to note that MT6750T differs from MT6750 only with support Full HD displays. Later I will make detailed performance test with gaming, but in this video I want to show you some benchmarks. Let’s start with AnTuTu. It seems that I have Chinese version of smartphone, because I cannot run AnTuTu with red interface. I noticed that Chinese AnTuTu shows more points than international version of application. So, you can see about 55 thousand points, but in general this chipset scores about 44 thousand points. In any case, this is good result for budget device. 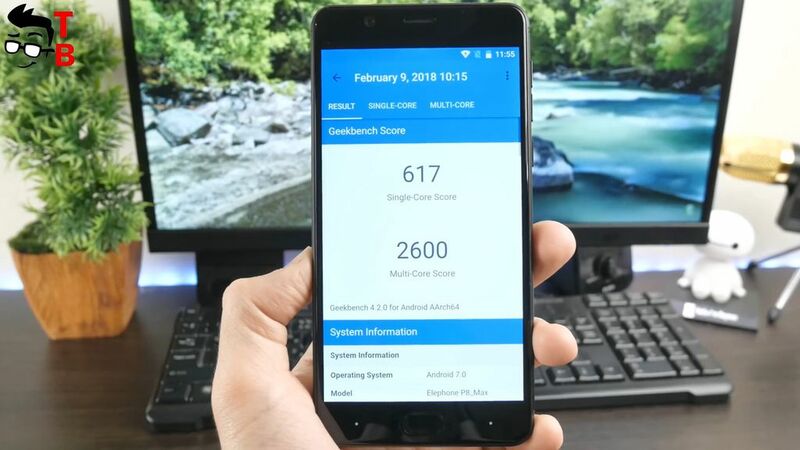 As for GeekBench 4, Elephone P8 Max has 617 points in single core test and 2600 points in multi core test. 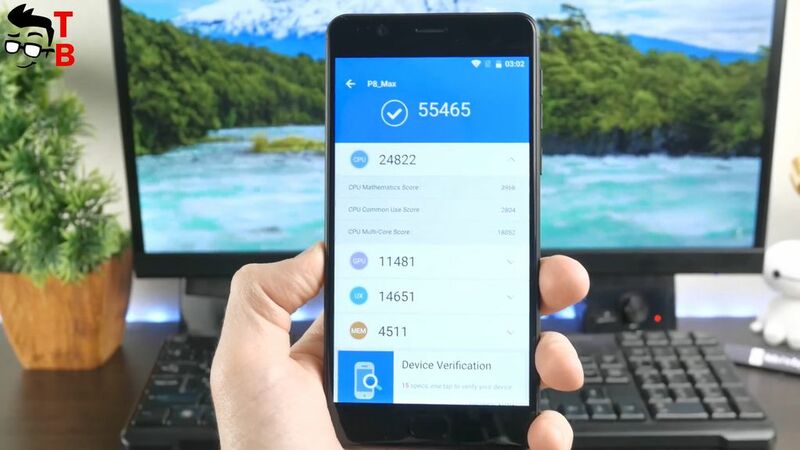 3DMarks allows to compare the performance of smartphones and tablets running on Android, iOS and Windows. 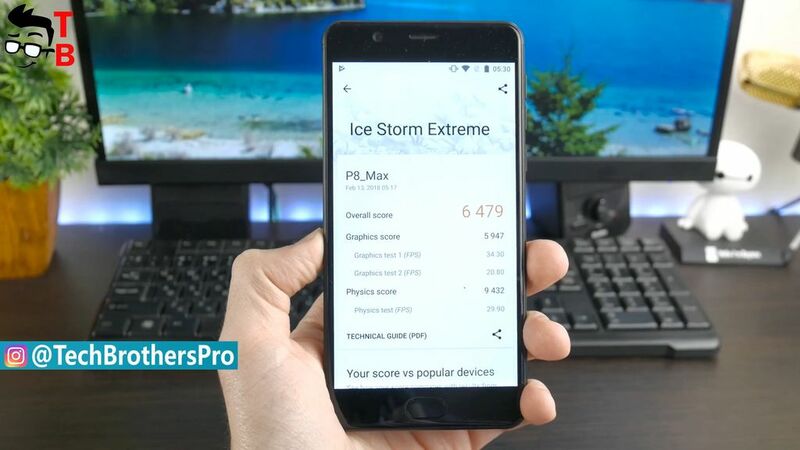 As you can see, Elephone P8 Max has almost 6500 points. 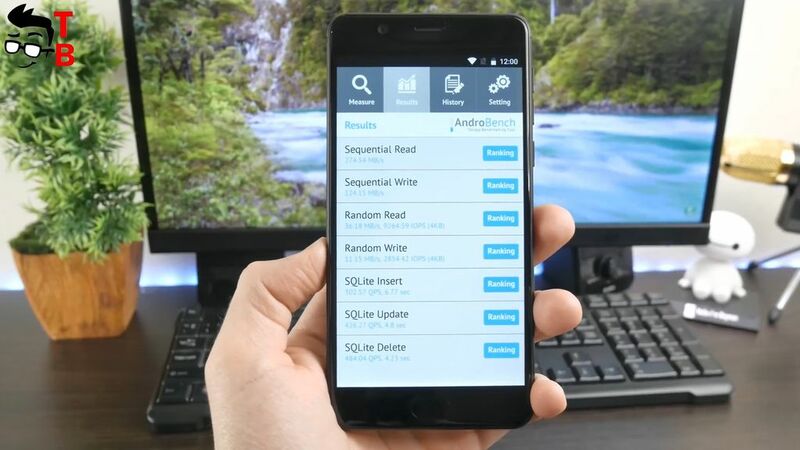 Also, I want to see internal memory speed, and AndroBench helps me with this. The smartphone has 270 Mb/s reading speed and 120 Mb/s of writing speed. 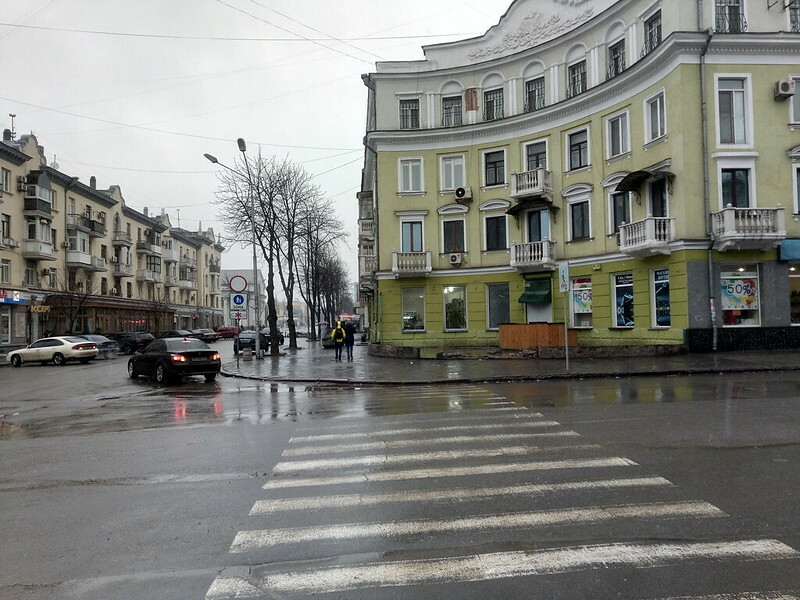 And the last test for Elephone P8 Max is GPS location. The smartphone doesn’t have problems with GPS starting and tracking. The accuracy is about 8 meters. 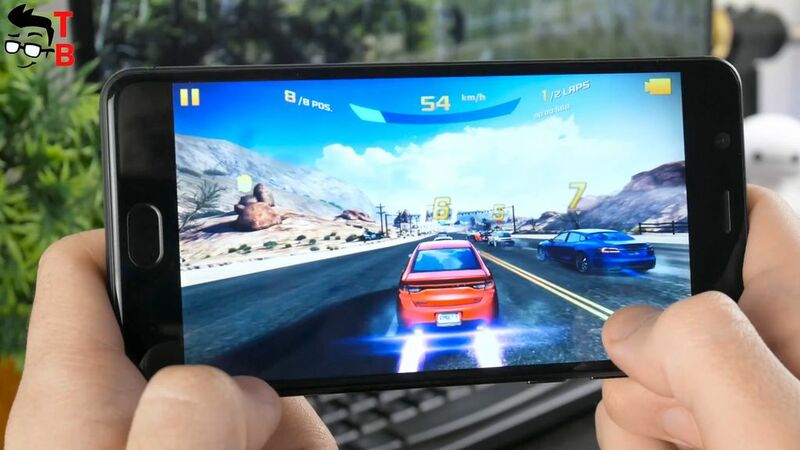 I chose some of the most interesting and powerful Android games. If I could play these games without problems, then you can run any Android apps. Let’s start with Rules Of Survival. This is new shooting game with big open world, cars, planes, and other different things. 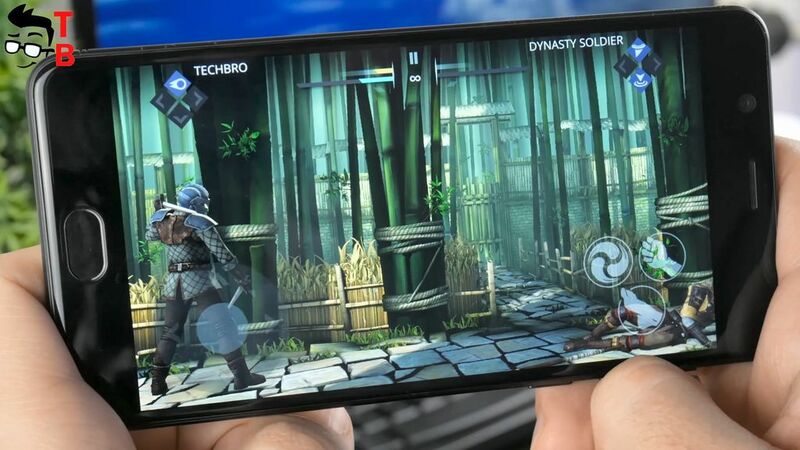 Elephone P8 Max doesn’t have any problems with this game. To be honest, I cannot say that it runs very well. Sometimes there are small delays. However, this should not prevent you from playing. Now, I want to check the temperature of smartphone. It is very important because high temperature reduces performance of mobile device. As you can see, it is 50 degrees. The phone really became warm after playing, but it is not hot. The next game is Shadow Fight 3. 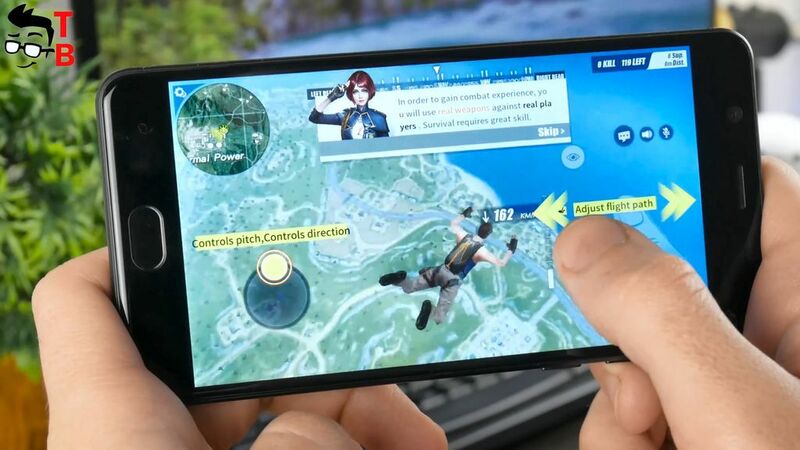 I think you have already played this game, and you know that not every smartphone can run it. Fortunately, Elephone P8 Max has good hardware. The launch takes a little time, while the gameplay is smooth. From time to time, you may have slowdowns and FPS falls, but I don’t think it will be a big problem. 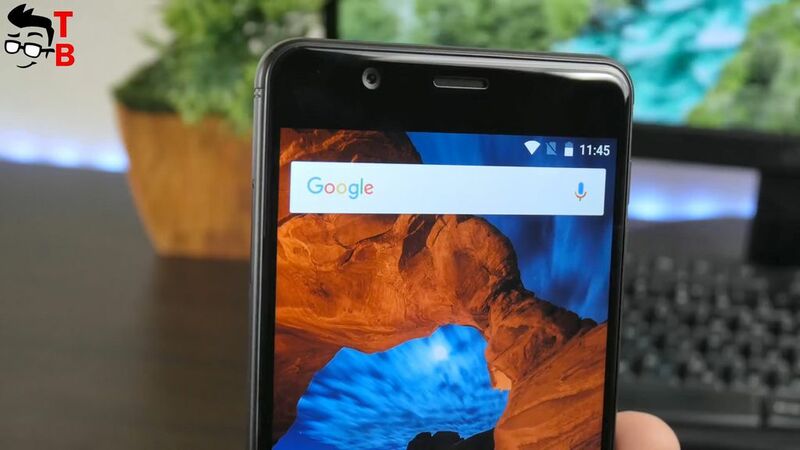 Don’t forget that it is budget phone, and it does its job very well. Once again, let’s check the temperature. It is the same 50 degrees. The last game for today is Asphalt 8. This is the best racing on Android. If you know any other interesting games, please write in comments below. I cannot say that Asphalt 8 is very smooth. You can see that sometimes FPS falls, and there are slowdowns. On the other hand, they are not so big that it is impossible to play. 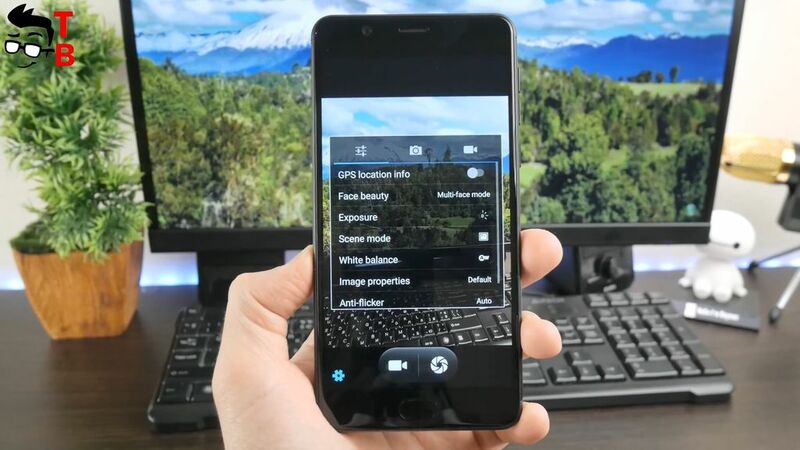 If you really want to play Asphalt 8, then Elephone P8 Max allows you to do this. However, I recommend to choose more simple game, for example, Asphalt Extreme. Moreover, the temperature of smartphone while playing Asphalt 8 reaches 60 degrees. It is really noticeable. 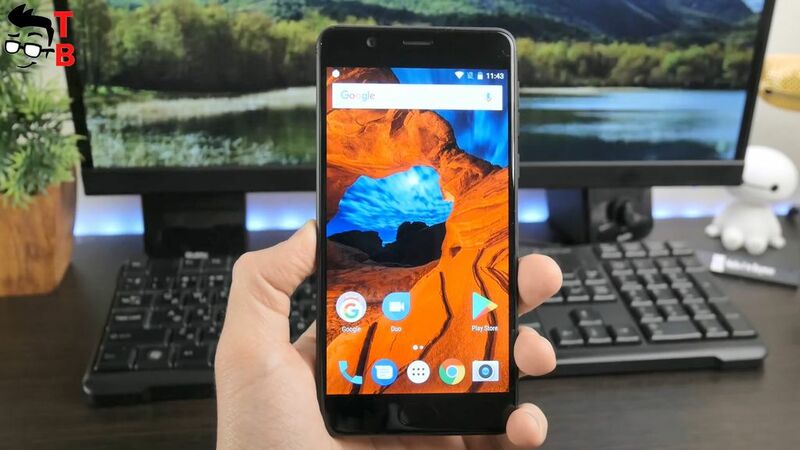 Elephone P8 Max has very good performance for budget smartphone. 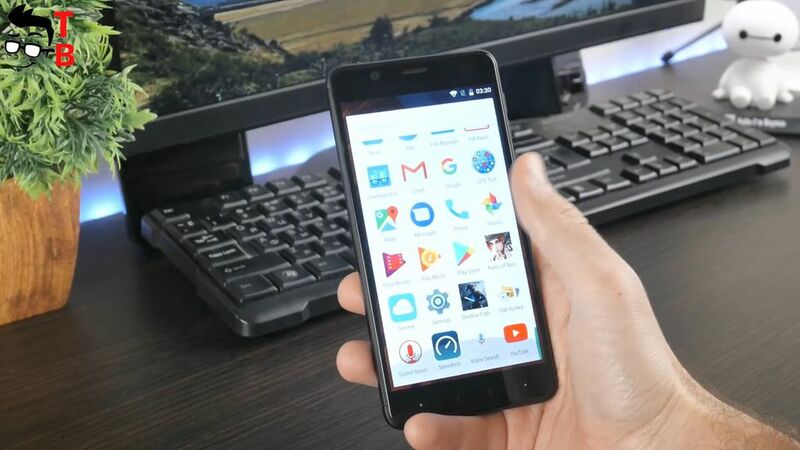 It runs any Android games and apps, but some of them don’t work as smoothly as I would like. This is expected for a smartphone with price tag of $140. Elephone P8 Max runs on Android 7.0 Nougat. It is stock Android system without Chinese user interface or apps. Here you can find Play Store, and other Google Services. I am not sure that smartphone will have update to Android 8.0 Oreo. To be honest, the Chinese phones rarely receive software updates, except Xiaomi and some other devices. One of the main feature of Elephone P8 Max is front camera, because it has better sensor than the main one. The smartphone comes with 16 megapixel front camera, while the sensor on the back panel has 13 megapixel. It is a pity that there is only one camera on the back panel, but as you know, many budget Chinese phones have fake dual camera. So, it is better to have one quality camera, than two bad. The camera user interface doesn’t differ from other phones with stock Android. Here you can see panorama, HDR and some other modes. The settings menu offers to change white balance, exposure, IOS, picture size and video resolution. 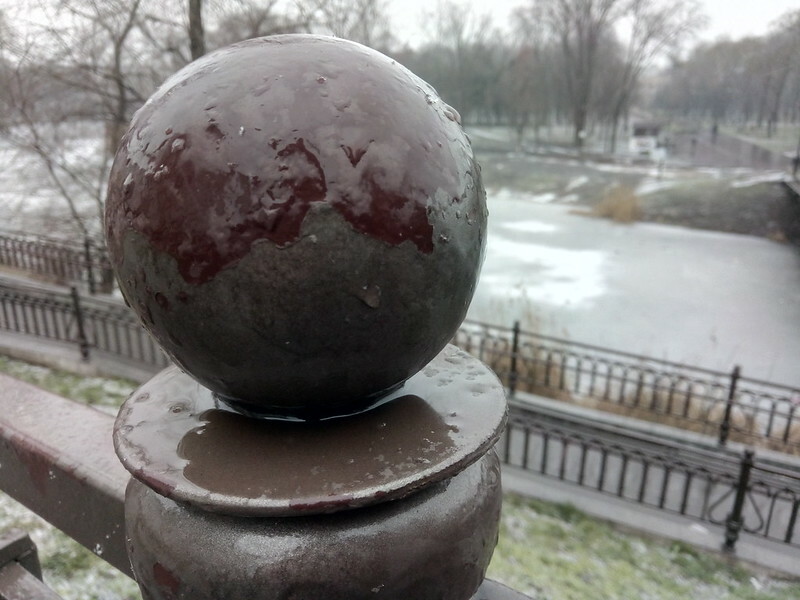 As I already said, Elephone P8 Max has single main camera, so there is not bokeh mode. Now, let’s look at some real sample photos. I want to say that I had rainy weather. There is no sun, so photos may not look as colorful as in summer. However, you can see that in well-lit conditions smartphone takes really good photos. The color reproduction is quite good, and there are plenty of details. Also the camera makes good macro shots. I want to note that camera focuses quickly, so you can take images of moving subjects. As for the night, or low-light conditions, photos are bad. They lack details, sharpness and colors. Many images are blurred, and it takes a long time to focus. However, this is a problem of most budget phones. It is very difficult to find affordable device that manages to take good photos at night. One of the main feature of Elephone P8 Max is front camera. It has 16-megapixel sensor from Samsung. Most selfies in well-lit conditions are quite good for social networks. More sample photos and videos HERE! The camera can record videos at Full HD, 1080p resolution. The quality is good enough. Of course, it is better to have good lighting, but even indoors, the quality is pretty good. 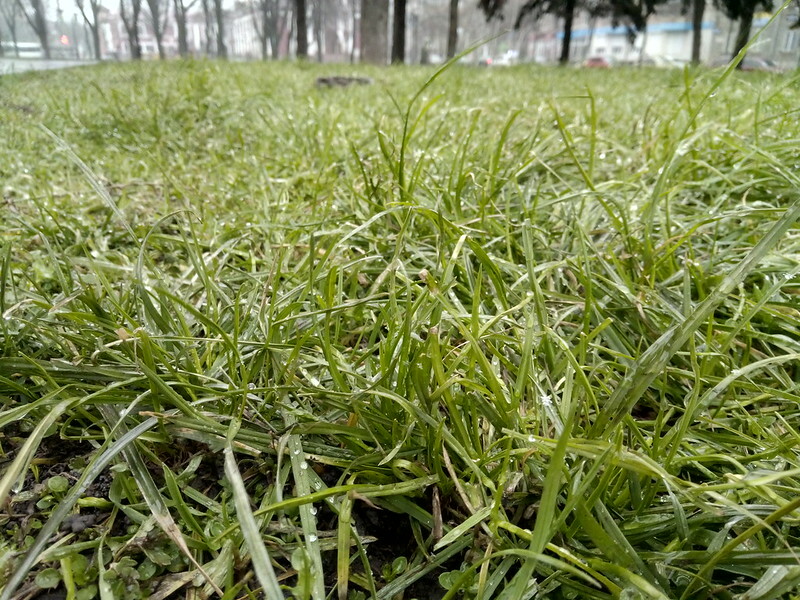 So, Elephone P8 Max has good cameras as for budget smartphone. Of course, you should not expect the best photo and video quality, because the smartphone costs only $140. I recommend to take photos in good weather, or indoors with good lighting. Elephone P8 Max is equipped with 5000mAh battery. It is much bigger than Elephone P8 and P8 Mini. Perhaps, this is the main reason why smartphone is called MAX. This should be enough for two days of moderate usage on a single charge. 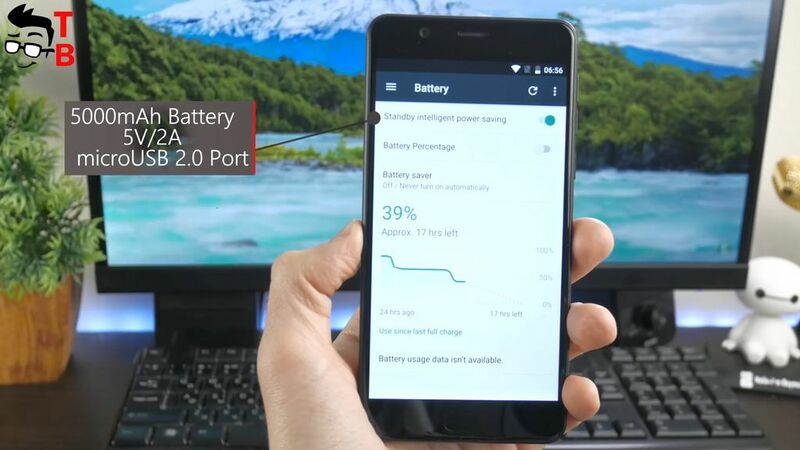 There is not support for fast charging technology, so the full battery charge will take about two and a half hours. 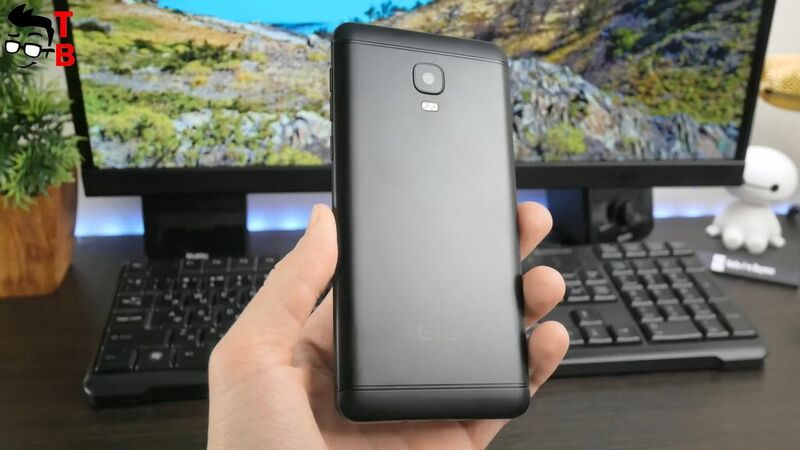 Elephone P8 Max is the smartphone from the past. I thought that I would not see such devices again. No, it’s not because it’s bad! P8 Max is good budget phone with big battery, good performance and cameras. 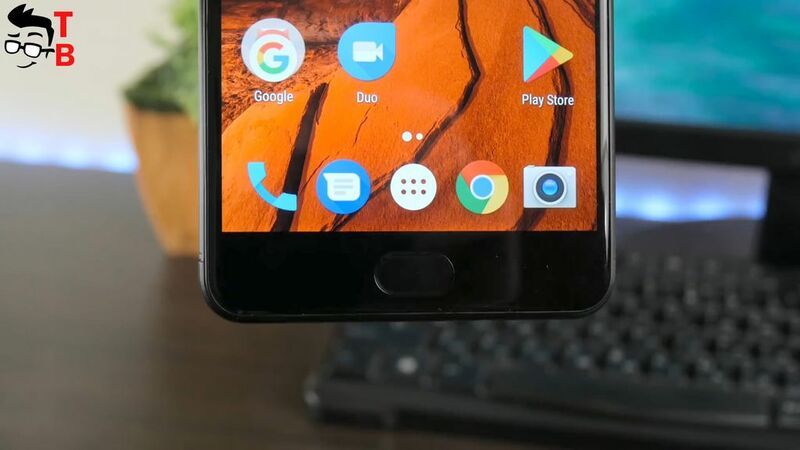 However, it has 16:9 display, thick bezels around the display, and outdated design. 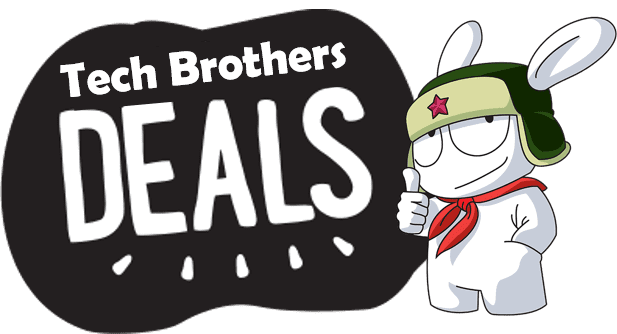 I am not sure that I can recommend this smartphone to buy, because Xiaomi Redmi 5 looks much better, but if you want good, budget phone with big battery, then it can be good option.